When Canon announced the EOS 30D would employ the same sensor as its predecessor, it was hard not to be both surprised and a little disappointed. After all, for its previous generations of digital SLRs, Canon lead the market by always developing new, higher resolution sensors. Standing still like this just didn’t seem right. But it’s important to look at the 30D in context. It replaces the EOS 20D which was already an excellent camera. Certainly few if any complained about the 20D’s image quality, so as the saying goes, if it ain’t broke, don’t fix it. Consequently the 30D enjoys the same detailed, silky smooth images with very low noise even at high sensitivities. Where people did complain about the 20D though, Canon’s listened. So the 30D features a larger screen and long-overdue spot-metering facilities, along with tweaked ergonomics, improved battery life, a larger continuous shooting buffer and the 5D’s Picture Styles also thrown-in for good measure. So while people caught-up by the numbers game were inevitably disappointed the 30D didn’t feature a new 10 or 11 Megapixel sensor, the fact is an excellent camera is now even better. That said, the 30D faces tough competition coming from both above and below, so we’ll briefly look at how it compares with its closest rivals. First things first: if you own an EOS 20D, should you upgrade to the 30D? In short, no. Sure the bigger screen and spot metering’s nice to have, but few would consider them justification alone for splashing out on a new body. If you’ve money burning a hole in your pocket, consider a new lens, such as the EF-S 17-85mm or EF-S 17-55mm f2.8. 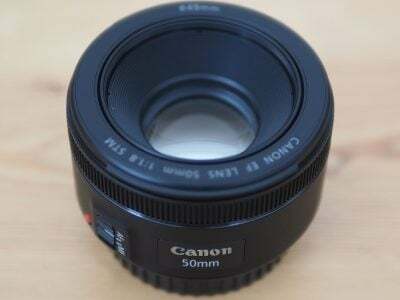 If you’re desperate for a higher resolution body with similar or better build quality, you’re really looking at the Canon EOS 5D or Nikon D200. Sony’s A100 is an interesting option with built-in anti-shake, but there’s little extra detail in the sensor, the noise levels are worse and the build quality’s not as good. Upgrading from the Canon 350D / Rebel XT to the 30D is pretty much the same prospect as upgrading to the earlier 20D. Since the image quality is virtually identical, you’re paying mostly for better build quality, improved AF and faster 5fps continuous shooting. Of course upgrading from the 350D / Rebel XT to the 30D now also gets you a bigger screen and spot metering. These are minor differences, but certainly greater and more justifiable than upgrading from the 20D. That said we still don’t feel an existing 350D / Rebel XT owner would get that much from upgrading to the 30D. Again we believe they’d be better investing in new optics. New buyers weighing up the two models though would certainly find the 30D’s build and handling far superior and well worth the extra money. It’s also worth seeking out bargain-priced 20Ds, as this remains a great camera. Moving up a notch in Canon’s range brings you to the EOS 5D, although you’re looking at spending more than double the money of the 30D. This buys you a 12.8 Megapixel full-frame sensor which is capable of resolving high detail with very low noise, while not affecting the coverage of any lens you attach. But that’s really the only benefit. The 5D may deliver fantastic-looking images, but the 30D comes close while sporting pretty much identical build quality, faster continuous shooting (5fps versus 3fps) and a popup flash. You’ve really got to want or need that full-frame sensor to spend the extra on the 5D. If you’re thinking of upgrading from an APS-C model to the 5D, check out our Canon 5D upgrade feature. A new player in the digital SLR market is Sony, and as our Alpha A100 review concludes, it’s one of the best-featured models around right now. The A100 is however targeted more at the entry-level market currently dominated by Canon’s EOS-350D / Rebel XT. It may sport innovative features like built-in anti-shake and a 10.2 Megapixel sensor, but as our results show, the A100 resolves virtually the same detail as Canon’s 8 Megapixel models, but suffers from higher noise levels. The 30D also features faster 5fps continuous shooting and better build quality. Entry-level digital SLR buyers will find the Sony A100 better value, but photographers after a more serious, semi-pro body will prefer the 30D. Probably the toughest rival for the 30D is Nikon’s D200, with both cameras vying for the high-end enthusiast / semi-pro markets. In its favour, the D200 features slightly higher resolving power, tougher build quality and advanced features including voice recording and GPS connectivity. It’s ultimately a better camera, but one which is priced higher to reflect it. If you side more towards being a professional photographer or simply have a higher budget, then we’d say the D200 is worth the extra. If your budget’s lower, or you feel the D200’s extras wouldn’t be of particular benefit, then save yourself some cash and go for the Canon 30D. You’ll enjoy lower noise levels and superb value for money. Canon’s EOS 30D may be little more than an evolutionary step forward, but it’s crucial to remember it improves upon a camera which most agreed was already excellent. While it may have been more honest to describe it as a 20D Mark II, the 30D remains a great camera which is enjoyable and rewarding to use, while delivering lower noise levels than its rivals. There may be few existing Canon owners who’ll justify upgrading, but plenty of new digital SLR users who’ll find it ideal. The 30D certainly has some tough competition, but most are actually pitched slightly higher or lower. As such, like the 20D before it, the 30D occupies a relatively unchallenged niche as a value proposition for the higher-end enthusiast who wants something better than an entry-level digital SLR, but can’t justify the next step-up. In this respect it delivers the goods. Please visit our Budget DSLR Buyer’s Guide and Semi-pro DSLR Buyer’s Guide for update of the best buys in these categories. UPDATE: See how the 30D’s sucessor compares in our full Canon EOS 40D review and video tour.